Coping with spinal stenosis pain can be a trying ordeal for patients, especially since many are faced with no prospect for a cure and potentially, ever-worsening symptoms. Patients may adopt a variety of coping strategies, which can range from productive to detrimental. However, few patients can ignore their pain and simply live normally, so something must be done in order for these poor souls to find relief. This essay profiles a number of possible methods of coping with back, neck or extremity pain, which is enacted by central canal stenosis. Yoga, Pilates, tai chi and swimming are all excellent forms of gentle exercise which are cited as helping many patients to reduce pain and maintain functionality. Meditation and biofeedback are alternative mindbody means of reducing suffering from any type of chronic pain. Acupuncture is an all-natural means of pure pain management. Chiropractic, physical therapy and massage may help some patients to reduce pain and improve physical function. Stenosis surgery may be curative, but some procedures are merely symptomatic operations. These may be effective, but come with a great number of risk factors, which must be considered carefully. 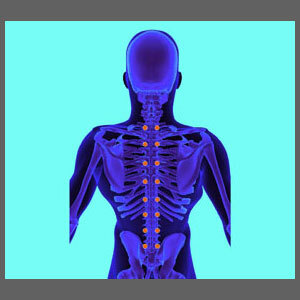 Pharmaceutical therapy, using spinal stenosis drugs, is certainly the most common treatment path. Drugs are bad for your body and will do damage over time. Pain management drugs are some of the worst offenders in this regard and many patients end up losing their battle to liver failure, rather than spinal stenosis. Lifestyle choices, such as alcoholism and illicit drug use, can lead to severe health consequences in record time and might also facilitate a downward spiral of suffering. It is possible to use these substances responsibly and enjoy predictable pain management, but this is rarely the reality for most people with chronic pain. Coping is never a preferred path in life. Solving a problem is much better than coping with it. In this respect, curative treatments, such as spinal decompression or spinal stenosis surgery, may be the ideal path for some patients, while coping with pain is never a perfect solution. If you can not enjoy a cure, then coping may be all that is possible. If this is your reality, please speak to your doctor about finding the least harmful methods of dealing with stenosis-related pain. Remember that just because a drug is prescribed by a physician does not mean that it is safe, effective or prudent. Always do you own research, use common sense and take an active role in your own care. After all, it really is your choice how you decide to deal with your pain. I have been helping patients to cope with chronic pain very effectively using non-medical modalities that are proven to work as well as the more common and dangerous drug products. For more information, check out my page dedicated to chronic pain coaching.